So many windows in a barn! I think those are for air circulation? This world needs a Barn Revival. There is nothing quite as romantic as a rustic looking old barn like this one. I know where there are a few left, but they are fading fast – making way for metal pole barns with offices, HVAC, bathrooms, living area for hired help. What is the world coming to? Thanks for sharing this lovely picture. Thanks, Jai. What lovely comments. I agree–they’re fading fast. More and more I appreciate living in a rural area where it’s possible to drive a few minutes and experience peace and tranquility. I think you are correct. Not sure those are actually windows, but vents. Probably would have been a hay loft in the upper part. Built by English immigrants in the mid 1800’s, Brett. I agree! 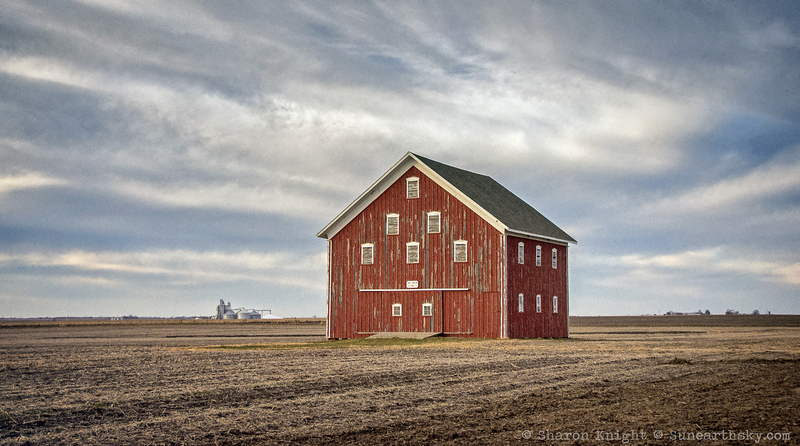 What a wonderful barn, and you’ve captured it so well. Thanks, Laurie :). Happy fall and winter to you!